Week 2 of the spring CSA is not accurately reflected in the picture; I traded three kohlrabi for four grapefruit, and completely forgot to pick up the head of garlic. Oh well. So my personal version of week 2: eight! grapefruit, six oranges, eight apples (four red delicious, four golden delicious), onions, sweet potatoes, spinach, and green beans; also the usual eggs and bread (Great Harvest parmesan sourdough). In other news, a hot dog stand called “Lala’s” has taken up residence by the play area at Lake Elkhorn. The guy working the stand when we showed up said that they were affiliated with an ice cream place moving in down by the Phoenix in historic Ellicott City. We tried a Chicago dog. It was missing the bright green relish and the roll was not poppyseed, but for $2, it was pretty darn good. It’s already technically week 2 of the Breezy Willow spring CSA, and here I am just posting week 1. The time just got away from me, I guess. He has a very good appetite for someone so tiny, though he won’t be able to partake of the CSA goodness for some months yet. I foresee purees in my future. Maybe he’ll be able to enjoy the fall apples and winter squash. I’ll keep you posted. Also, I should mention that Howard County General Hospital’s menu choices are not precisely haute cuisine, but the kitchen is generous with the portions, and the delivery is prompt and courteous. I ate very well there. Anyway, I don’t make the CSA pickup until Thursday, so technically I’m still on week 1. 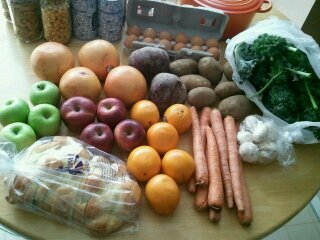 Week 1 of the spring CSA brought us 3 lb potatoes, 2 lb carrots, 2 lb beets (each of those giant beets weighed a pound! 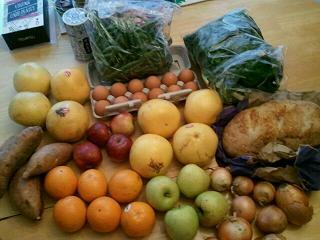 ), 1 lb kale, 1/2 lb mushrooms, four grapefruit, six oranges, and eight apples (Granny Smith and Red Delicious). Also the usual eggs and bread (Great Harvest challah, which sadly developed mold spots about a week in; I need to remember to keep it in the fridge). I didn’t ask after the origin of the items, but from what I remember of last year, I’d assume that the citrus is from Florida, the kale likely from Georgia, the mushrooms from Pennsylvania, and the apples and root vegetables from last fall’s harvest, kept in cold storage. Seeing the potatoes and kale made me immediately long for colcannon, and with St Patrick’s Day around the corner, an Irish dish is particularly appropriate. Colcannon is essentially mashed potatoes, with kale and green onions mixed in. The potatoes are fantastic with heavy cream and butter, and you can fool yourself into thinking you’re eating healthy because of the kale. The green onions add a really lovely tang. 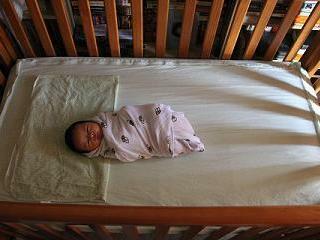 It’s a simple, undemanding recipe, easy to put on hold at almost any step if you need to attend to an infant. I use Elise’s recipe for colcannon, except that when I melt the butter, I throw in some minced garlic. Why not.